This week has been a funny old chestnut. It's half term so the husbando is off work for the week, hooray ! Then the cold and flu bugs came a rollin' in, and threw us a curve ball. A friend asked if we had any 'plans' for the week, the answer was a swift 'no', we haven't yet progressed to the stage of making too many plans, as they usually get cancelled if the energy fairy hasn't been to visit, then I get all upset and grouchy. This week however I have had a little bit of energy in the tank........ alas I have used it to be nurse maid to two sick people in our house. I think being the most energetic person in the house is such a novelty for me, It makes me feel vaguely useful and not a complete wet lettuce. I have to say, I was looking forward to getting out and about a little, another time maybe ? 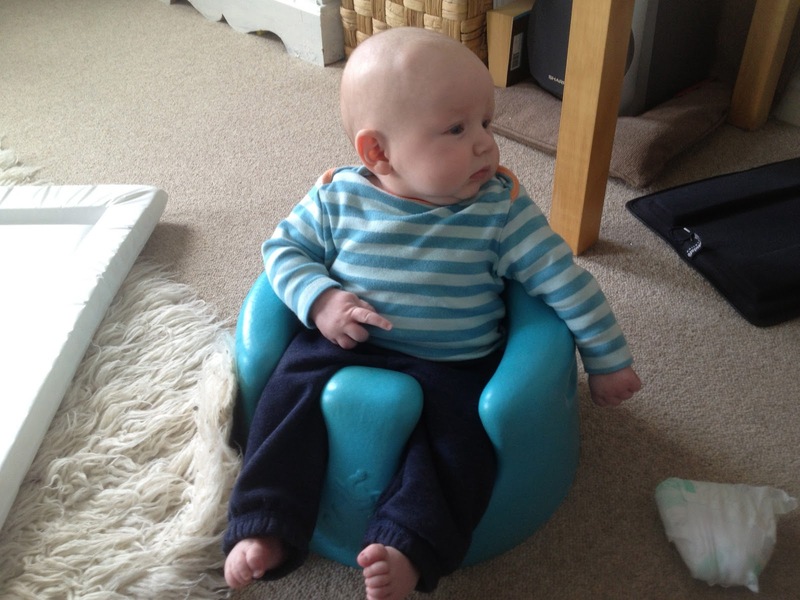 My Little squashy one is very happy, smiley chap, here he is, looking all grown up in his bumbo. 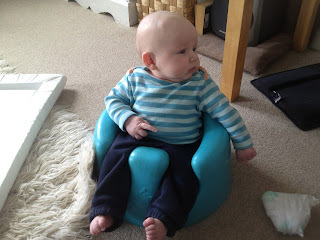 Thankfully he has dodged the lurgy.